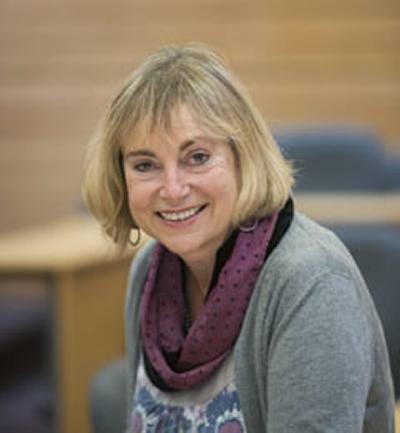 Anne Rogers is Professor of Health Systems Implementation and the Research Director of the NIHR CLAHRC Wessex. Anne is a health sociologist with a long term interest in the sociology of mental health and illness. Her current research focusses on the capacity of personal networks to mobilise the connections and resources which assist with self-management for long term conditions. Exploring how our personal social networks in which we are embedded impact on our efforts to manage our well-being health and illness. Understanding, creating, adapting, translating, implementing and evaluating self-care technology and support strategies which incorporates the resources and networks operating in peoples' everyday lives and social environments. Currently carrying out research programmes focusing on patient systems of implementation for the management of long term conditions of those living in deprived circumstances in the UK and in Europe. Addressing how social position, networks, relationships and illness work undertaken in domestic settings connect to accessing resources in local communities and human relationships in and outside of health services. A long term programme of work on the sociology of mental health and illness. Urgent care reform has led to the development of multiple services (e.g. out-of-hours, walk-in centres, NHS 111) designed to improve access and manage rising service demand. Policy has sought to influence patient behaviour and choice of service in this complex urgent care landscape. Guiding patients to ‘get the right advice in the right place, first time', reducing unnecessary emergency department attendances by providing more responsive urgent care services, and providing better support for people to self-care has increasingly been the focus of national and local health policy. However, effective service provision requires a much deeper understanding of the factors that influence patients’ help-seeking and choices. Department of Health Policy Programme (PRP), Standing Commissioning Panel. Rogers, A. (Accepted/In press). A case of tightrope walking: an exploration of the role of employers and managers in supporting people with longterm conditions in the workplace. International Journal of Workplace Health Management, 1-12. Brooks, H., Rushton, K., Walker, S., Lovell, K., & Rogers, A. (Accepted/In press). Ontological security and connectivity provided by pets: a study in the self-management of the everyday lives of people diagnosed with a long-term mental health condition. BMC Psychiatry, 1-41. Pumar-Mendez, M. J., Mujika, A., Regaira, E., Vassilev, I., Portillo Vega, M., Foss, C., ... Rogers, A. (Accepted/In press). Stakeholders in support systems for self-care for chronic illness: the gap between expectations and reality regarding their identity, roles and relationships. Health Expectations, 1-32. Bossy, D., Foss, C., Knutsen, I., & Rogers, A. (Accepted/In press). Institutional logic in self-management support: coexistence and diversity. Health & Social Care in the Community, 1-25. Tierney, E., McEvoy, R., O'Reilly-de Brun, M., de brun, T., Okonkwo, E., Rooney, M., ... MacFarlane, A. (Accepted/In press). A Critical Analysis of the Implementation of Service User involvement in Primary Care Research and Health Service Development using Normalization Process Theory: revised draft May 21st 2014. Health Expectations, 1-32. Ryan, S. E., Rogers, A., & Lester, H. E. (2014). Recovery from psychosis in primary care: a qualitative study of General Practitioners’ and patients’ perspectives. Pre-print. Kennedy, A., & Rogers, A. (2009). The needs of others: the norms of self-management skills training and the differing priorities of asylum seekers with HIV. Health Sociology Review, 18(2), 145-158. Rogers, A., Kennedy, A., Bower, P., Gardner, C., Gately, C., Lee, V., ... Richardson, G. (2008). The United Kingdom Expert Patients Programme: results and implications from a national evaluation. Medical Journal of Australia, 189(10), S21-S24. Pilgrim, D., Rogers, A., & Pescosolido, B. (Eds.) (2011). The Sage handbook of mental health and illness. London, GB: SAGE. Rogers, A., & Pilgrim, D. (2010). A sociology of mental health and illness. Maidenhead, GB: McGraw-Hill. Brooks, H., & Rogers, A. (2018). The role of pets in the personal communities of people living with long-term conditions. In L. Kogan, & C. Blazina (Eds. ), Clinician's Guide to Treating Companion Animal Issues: Addressing Human-Animal Interaction (pp. 159-172). Elsevier Academic Press. Lim, S., Ibrahim, K., Dodds, R., Rogers, A., Aihie Sayer, A., & Roberts, H. (2018). The role of volunteers in preventing hospital-associated deconditioning among older people; a feasibility and acceptability study. Poster session presented at 14th International Congress of the EuGMS, Berlin, Germany. Vassilev, I., Rogers, A., Kennedy, A., Todorova, E., & Roukova, P. (2015). The political and economic embedding of chronic illness management experiences: a comparison of lay accounts of people with diabetes in United Kingdom and Bulgaria. 12th Conference of the European Sociological Association, . Rogers, A., Vassilev, I., Lionis, C., & Todorova, E. (2015). Understanding the influence the socio-economic environment and social network mechanisms of self-management in Europe. ISIH 6th International Conference, Challenging Health Inequity: A Call to Action, Palma de Mallorca, Spain (2015), . Mujika, A., Portillo Vega, M., Pumar-Mendez, M. J., Regaira, E., Serrano-Gill, M., & Rogers, A. (2015). Voluntary and community groups and health professionals contribution to selfmanagement and wellbeing. 429. Poster session presented at 8th European Public Health Conference, Italy. Vassilev, I., Pope, C., Rogers, A., & Kennedy, A. (2014). Assessing the implementability of health and telehealth interventions for self management support: a realist synthesis in a European context. Medicine 2.0: World Congress on Social Media, Mobile Apps, Internet/Web 2.0, Malaga, Spain (2014), Spain. Vassilev, I., Rogers, A., & Kennedy, A. (2014). What is real about ‘self’-management: a mixed methods study of social network support and the value of ‘strong’ and ‘weak’ ties in the management of chronic illness. BSA Medical Sociology Group 46th Annual Conference, United Kingdom. Rogers, A. (2013). Modeling the sources of mental illness stigma in England and the United States. Paper presented at 20th International Conference of Europeanists-Crisis & Contingency: States of (In)stability, Netherlands.